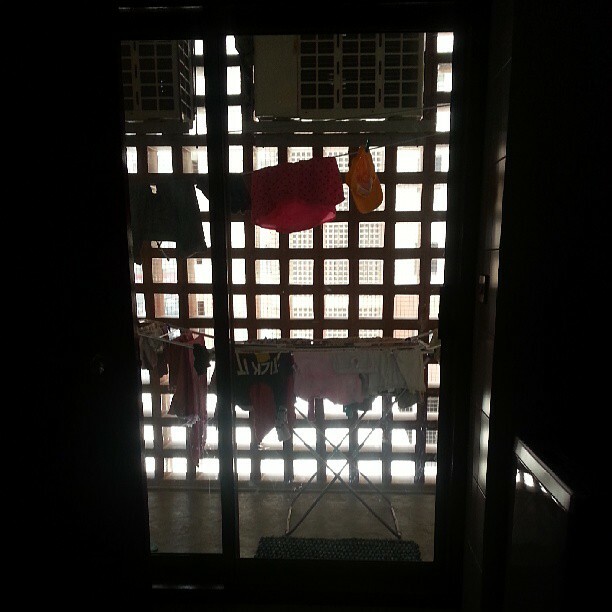 From where I'am standing, I see another load of laundry to fold. And I don't like it. This photo created quite a discussion on Instagram. I felt at peace when I came to know there were others who disliked folding laundry. Folding laundry is not fun. Period. Today when I went for Juma prayers, I wore a chiffon salwar kameez. Black and green. Something about the material and colours brought a rush of memories again. Like a deja vu. About my mom, my sisters, my mom's aunt and great grandma (we lived with them till we got our own house). Few days back, I had a chat with my great grandma (maternal). I have been trying to get her online but she was too tired or ill to walk to the phone. But that day, she seemed energetic and happy. And she spoke a lot. One of the things she said was about the massive rain back home. And how it reminded her about us (my sisters and me). How rain used to get her worried while she was waiting for us to get back from school. How she used to wait for us in the balcony and felt relieved when she saw us in our red and white uniforms walking towards her. She went on. Tears rolled down my cheeks. I'am pretty sure she thought I was bored. I just didn't know what to say. I wanted to tell her how much I missed her and everything about our home back in India. But I didn't want to worry her. So I wept quietly. Life can be hard sometimes. As much as I love Dubai and what it has offered us, I miss home. So why am I sharing all this? I don't know. I wanted to write and get it all off my chest. 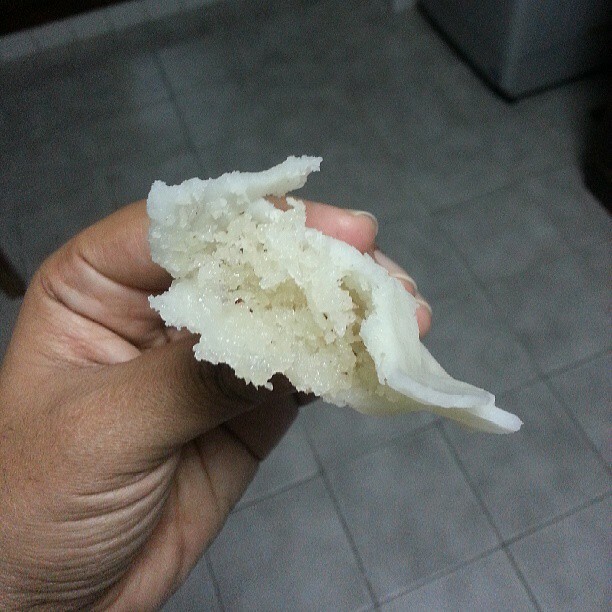 I also made some steamed coconut parcels for Iftar (it's actually 24th of Ramadan today) in fond memory of my beloved home away from home. Please include a link to your Day 23 here. Kindly link directly to your post and not your general blog link. I will also be pinning your post onto my Ramadan Journal 2013 board on Pinterest. If you do not wish to be pinned, please let me know by leaving a comment below. What a sweet memory to share and what a lovely relationship with your grandmother.